Wind:6-7 knots out of the southeast/south most of the day. Altitudes: Whatever release altitude was. 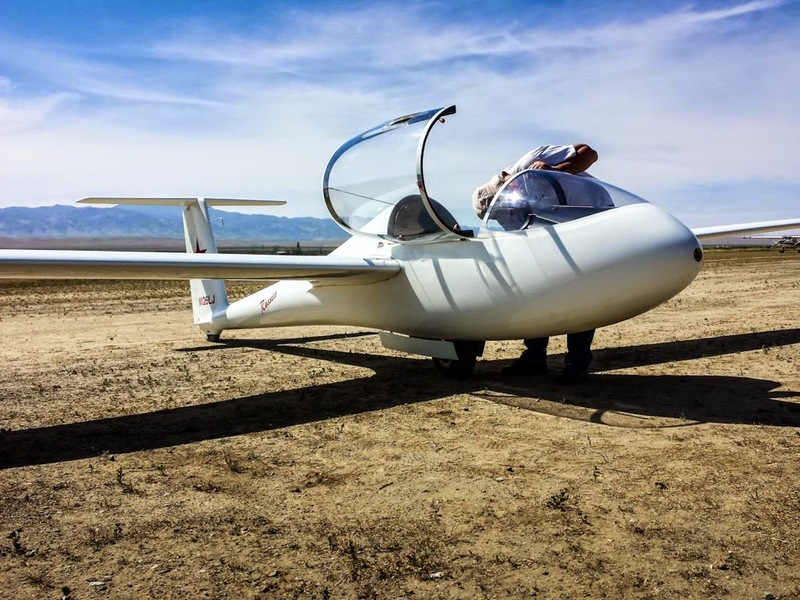 Time Aloft: High performance gliders longer than training gliders. Max Lift: 400 fpm early but not so much later on. Comment: Good day for practice on tow and light thermalling. 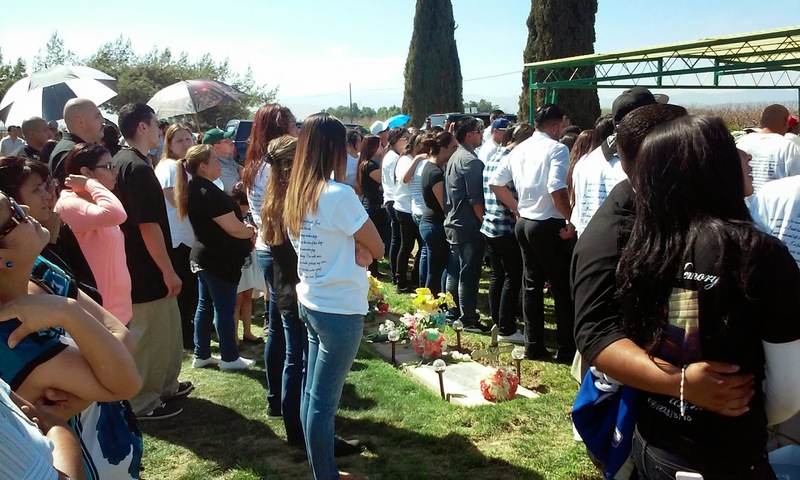 It was a fun day but also a rather sad day because the young man, Yovani Hernandez, who used to come out to Avenal and help out during the day, was buried at the Coalinga cemetery in the morning. 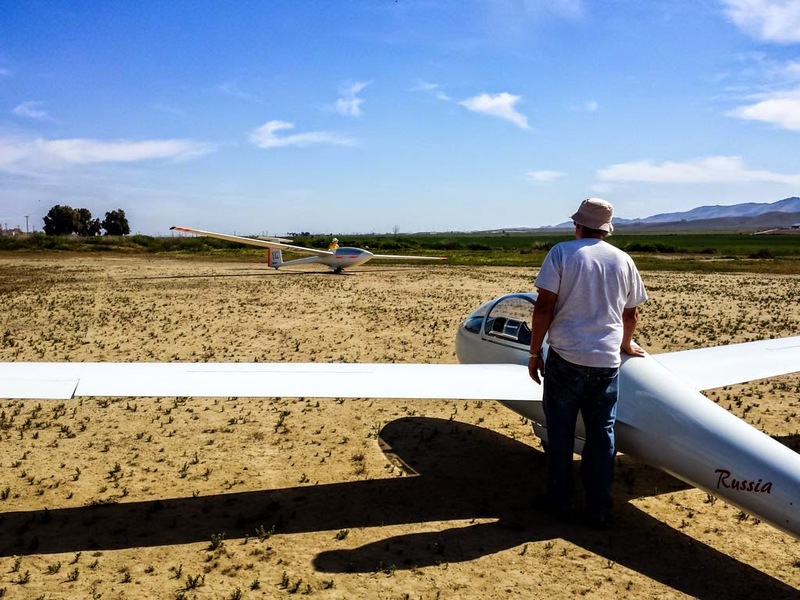 Two of our members boarded the tow plane and two were in the Orange Crush on tow and flew to Coalinga to pay tribute to Yovani and respects to his family at the grave-site. Then, Alex Caldwell and Mike Paoli visited the grave site and were there for a short time for the services. Rest in peace, Yovani. Here's a link to a video that Alex Caldwell took of the flyover at Coalinga. You might have to copy and paste it into your browser. 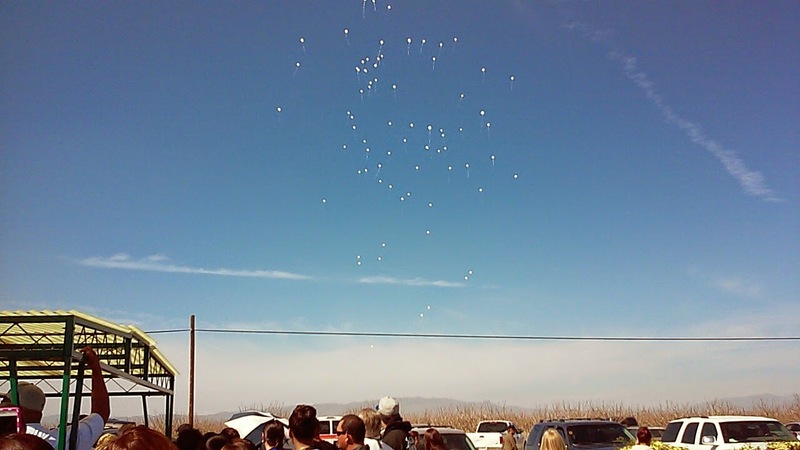 Balloons going skyward in honor of Yovani. Gathering at the gravesite watching the CCSC flyover. 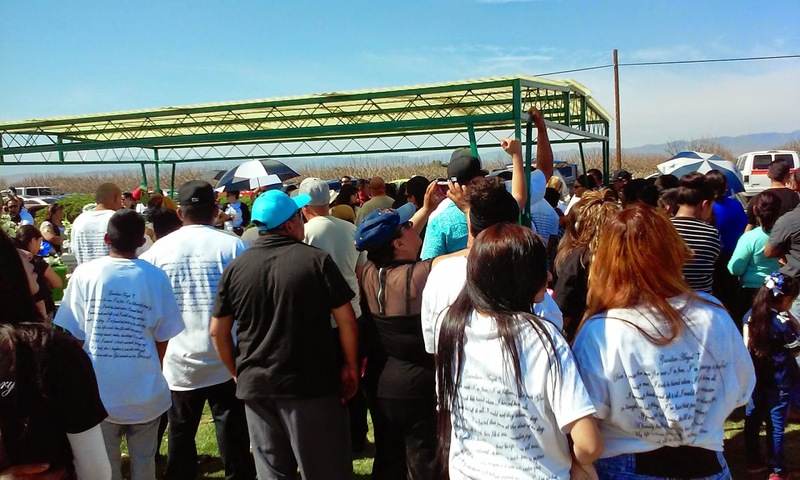 It was a very nice turnout of folks from Avenal who thought highly of Yovani and his family. The really good news is that Philip Gerfaud passed his Commercial Glider checkride today as an add-on rating and couldn't have been happier. 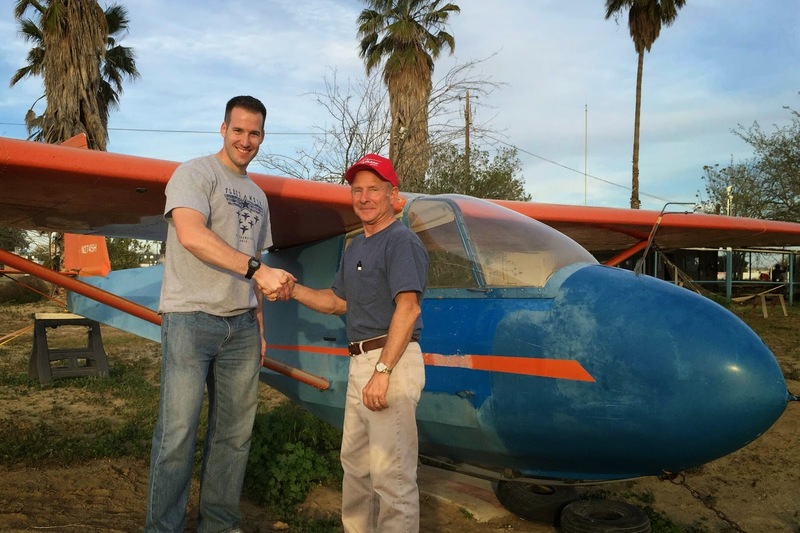 Dan was the principal instructor with me recommending Philip for the checkride. 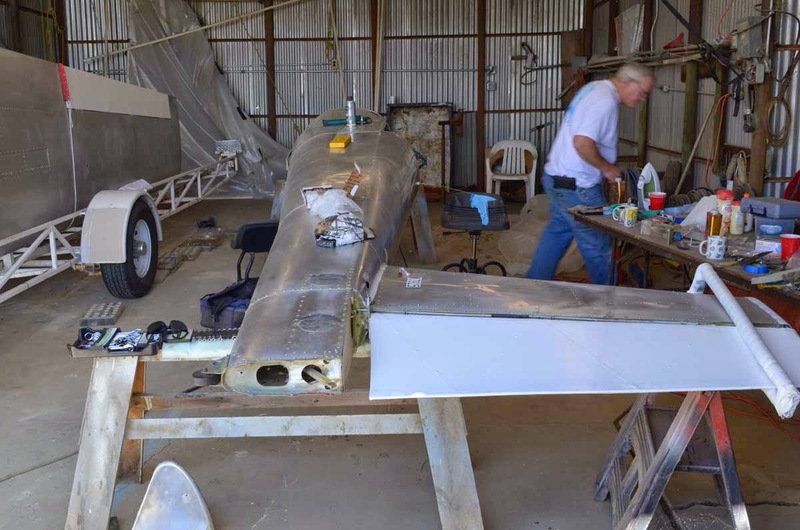 Phil is a great guy who lives down near Vandenberg Air Force Base, is in the Air Force working on the launching of rockets and although he really likes the atmosphere at Avenal, the drive to Santa Inez from his home in Santa Maria is a whole lot easier. So we may seen him here on and off during the soaring year. The two guys who made it all happen. But Phil is the happier one. Dan Gudgel finished the Saturday morning presentations with a discussion of the launch operations featuring a detailed discussion on winch/ground launch procedures. Following that up he presented a review of how we all should be operating on and off the field, for safety, for security, and for the welfare of all club members. Well done and a good refresher for everyone. It was a busy day with just one glider for all who wanted to fly. 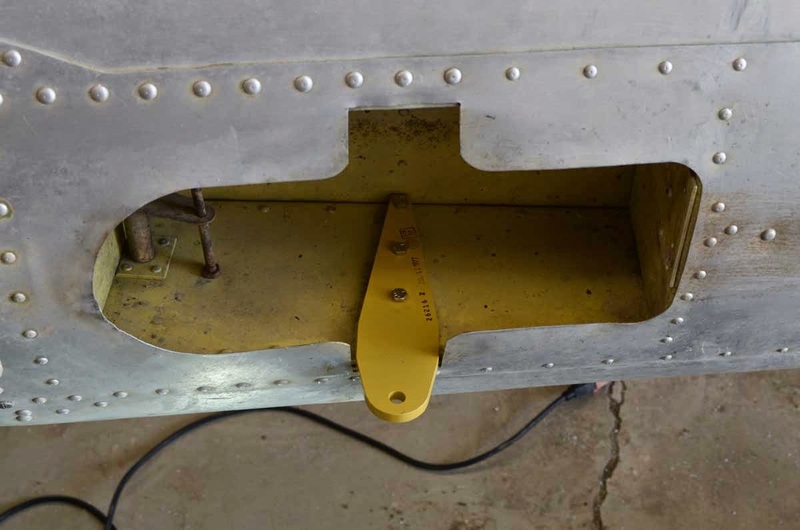 So each flight was cut short a bit, not only because of the need to, but because the lift wasn't so great and no temptation existed to stay aloft longer than necessary. A few higher performance ships were towed but they didn't find much lift either. Julie Butler nearly ready to launch but didn't find much lift. 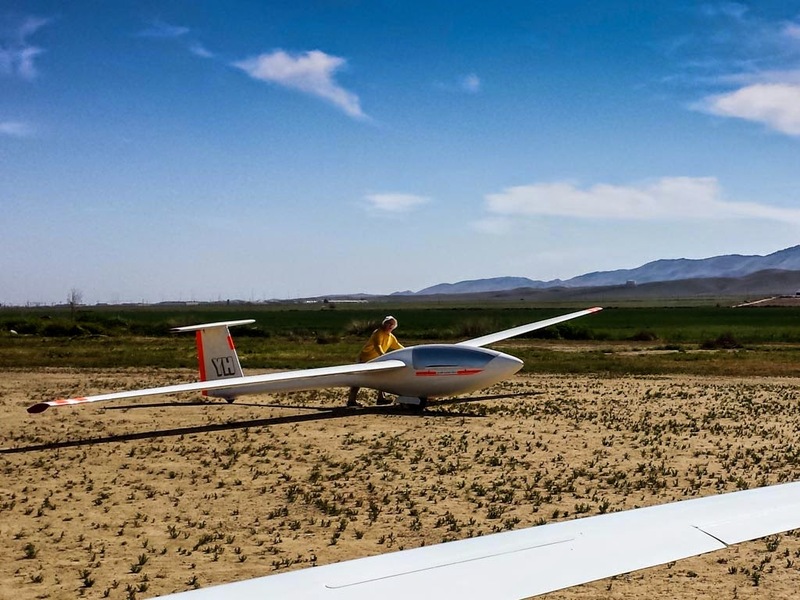 Ethan Ronat flew his glider and wasn't too successful but remained aloft longer than most. Jeff Richardson assembled the Russia and at least enjoyed the warm day flying rather than wishing. Ron Ronat arrived with his Dad, Ethan, and it was quite a shock for me because the last time I saw Ron, he was about half the size he is today. Wow, I couldn't believe how much he has grown in the past two or three seasons. Martin and Jan, our great guys who keep us flying with their selfless efforts. The new part received and the worn part it replaces. 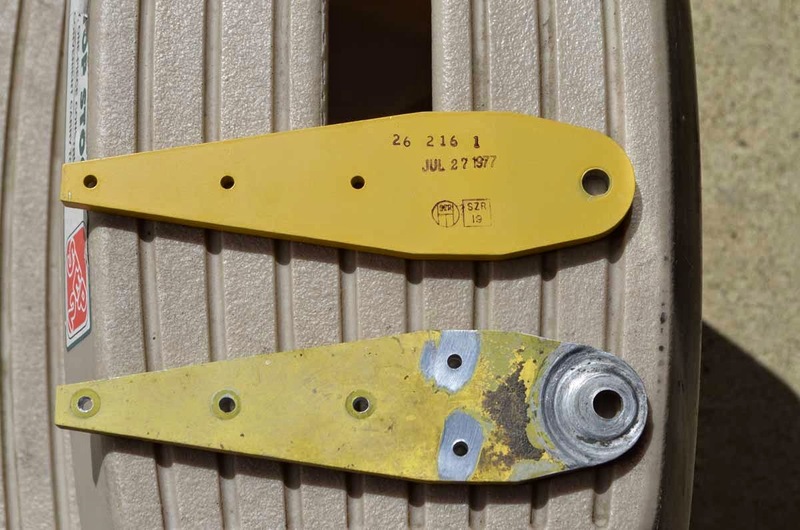 These are the parts that hold the axle to the fuselage for the main wheel. 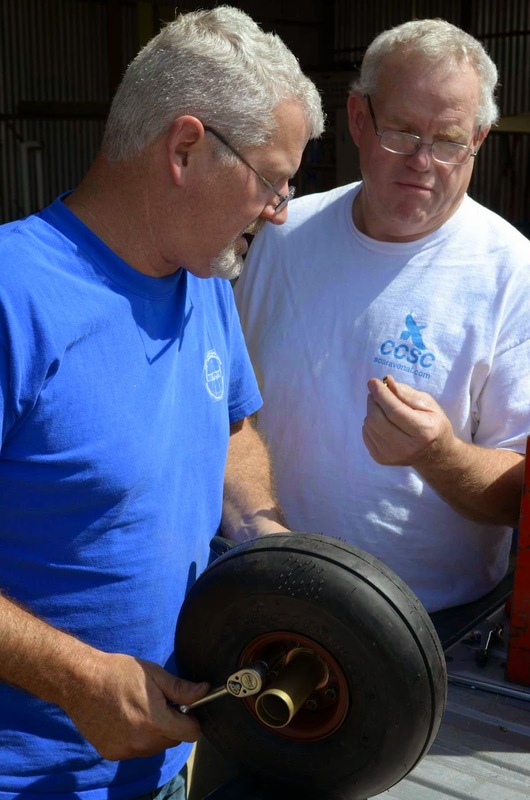 Martin Caskey and Jan Zanutto working hard to get the 1-26 back in the air soon. There were three Introductory flights today. The first was a U.S. Navy pilot who is a good friend of Harry Davies and just may start work on his add-on rating. John Morris really got a kick out of flying on tow. It frustrated him just enough that he is determined to get it right. So that may be the hook we can count on to see John back again next time. Next up near the end of the day were Krista Moore and her Dad, Bill. It was a gift flight from Bill to Krista for her 30th birthday. Happy Birthday, Krista. She enjoyed the flight, was quite comfortable, and did a lot of sightseeing while we toured the area. Bill Moore flew with Dan Gudgel while Krista flew with me in the tow plane so she saw operations from the two most important viewpoints. Finally, I think the one person who might have had the most fun was Skip Breidbach. This flight was just his fourth training flight but he took the controls 100% on tow even though the air was quite bumpy. It was a challenge well met for Skip but I"ll bet he welcomed releasing off tow. He wasn't done yet. After doing some training maneuvers and searching for lift, he finally found a good thermal area just to the east of Rte 33 and northwest of the town. We were down to 2300 msl by then but after working hard and keeping very focused he managed to find enough lift to get us back up to 3300 msl. On the fourth flight, to gain 1000 feet of altitude is quite an accomplishment. Congratulations Skip and the next time looks even better.